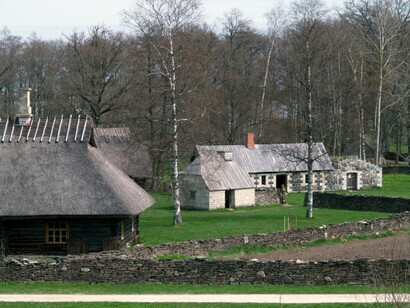 Jüri-Jaagu farm is an example of a 20th century tenant farm on Muhu Island. 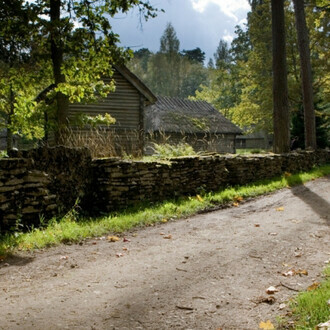 The buildings were brought to the museum from 1973-1985, and the farm was opened to visitors in 1996. 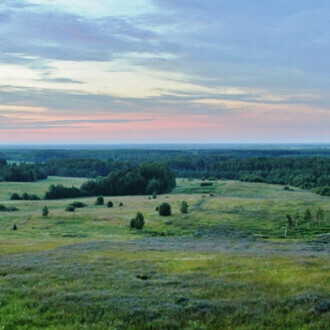 Muhu farm had 34 hectares of land, of which 6 hectares were fields. 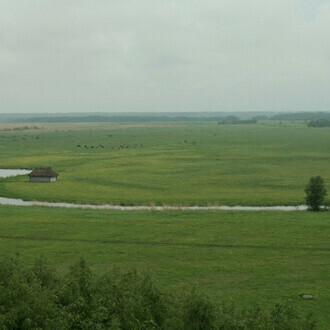 As the stony soil and pastureland produced little income, the members of the large family earned money to pay the rent and other expenses from seasonal work. A ‘clean yard’ lies between the barn dwelling and the storehouse. 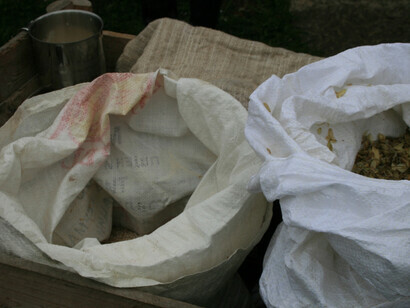 Here fruit trees and flowers began to be planted in the 19th and 20th centuries. 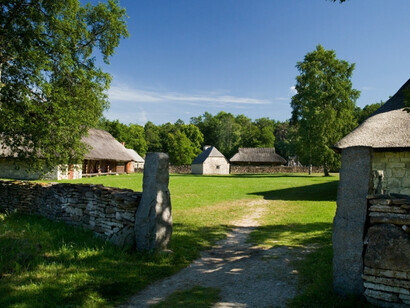 The cattle-shed and summer kitchen are in the cattle-yard, which leads to the village green. 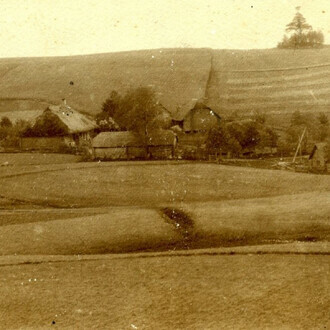 Barn-dwelling, from Jüri-Jaagu farm in Mõega village. This barn-dwelling typical of Muhumaa in the later period was built in the late 1880s, and the furnishings are from 1915-1920. It was brought to the museum in 1985. The central kiln room has a range alongside the stove. 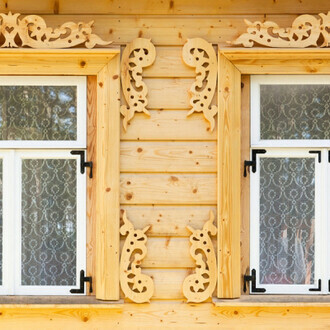 It was the central living area in wintertime, but separate chambers for sleeping were built for the old couple, the married sons and two single sons. 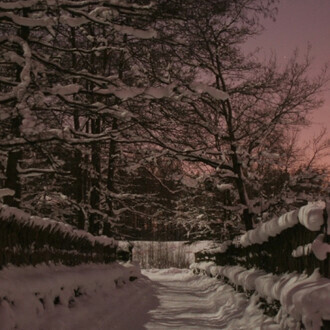 In winter, 1-2 horses and 6-7 cows were housed on the threshing floor; they were more easily managed there. 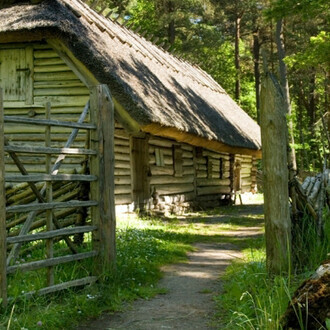 The storehouse is a replica of the one at Salu-Andrus farm, which is located in Rootsivere village and was built in the late 19th C. Typically for the islands, the storehouse has many rooms, which were mainly called a ‘laut’ on Muhu Island – i.e. a cow-shed. The storehouse doors are artistically painted, as was the custom on late 19th C Muhu Island and especially in the early 20th C.
The summer kitchen is from Marjavälja farm in Külasema village. 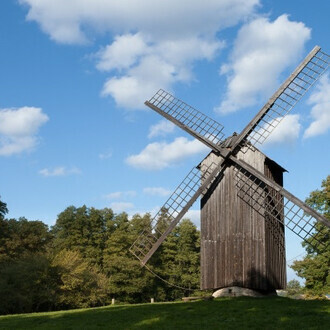 It was built in 1873 and brought to the museum in 1973. After the new summer kitchen was completed, the old one was used as a washhouse. 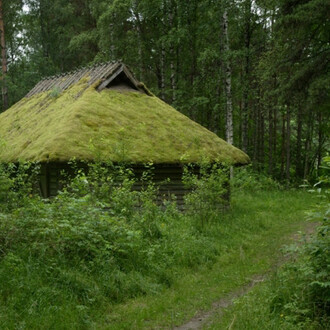 The summer kitchen/sauna/cellar originates from Pärdi farm in Mäla village. Built in 1906, brought to the museum in 1973. 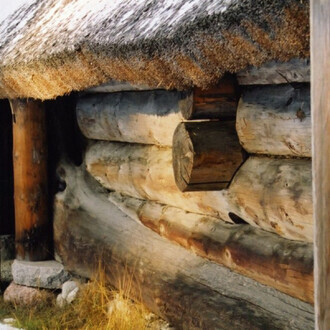 The so-called Muhu-style granite building is an example of the skills of Muhu’s bricklayers, who from around 1890 to 1940 earned a living building stone structures on the island and the mainland. 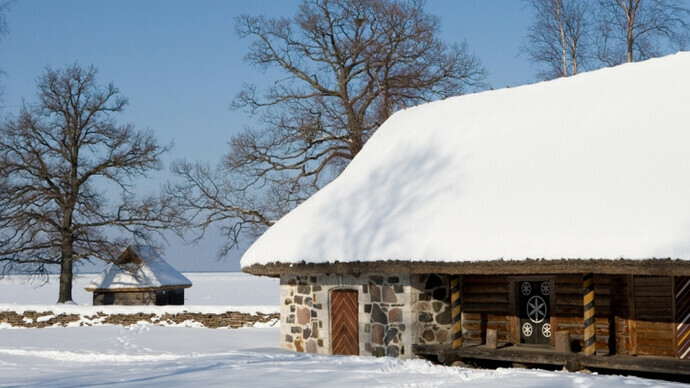 The cattle-shed is from Mihkli farm in Lepiku village on Muhu Island. Built ca. 1910. Brought to the museum in 1983. Under the same roof, there is a sheep shed for about 10 animals, a calf shed and a pig shed for 1-2 pigs.